What can you do with glass awards and trophies? It seems as if every time you turn the television on there is another award ceremony taking place. The awards may be linked to the entertainment world or achievements in the sporting and business sectors. There are also awards made to people for service to their community or for those who have shown outstanding courage. 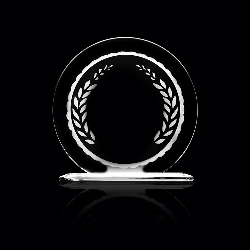 Awards come in many guises ranging from medals to plaques or trophies and glassware. Often these awards will be personalised by engraving with details of the event, the recipient and the year. Glassware is a popular choice for awards and can be anything from a glass, an engraved plaque, a decanter or a bowl. In fact there is a wide range of merchandise available to purchase either by mail order or online. Many large companies also make small gifts to employees, eg for long service or to mark a special event in the company’s history, this often comes in the form of a paper weight or a small plaque engraved with the company and event details. The Queen makes awards to industry each year to companies who have shown outstanding achievements in their field. 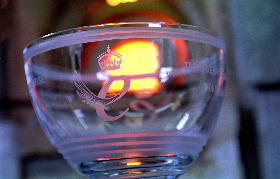 Safeglass (Europe) Limited were fortunate to win The Queen’s Award for Enterprise in 2005 in the Innovation category. 2005 was the 40th Anniversary of the awards and the company were presented with a glass bowl at a special ceremony in August 2005.